It's been a challenging year for Burlington expats Rubblebucket. Vocalist Kalmia Traver was diagnosed with Stage 1 ovarian cancer last summer. She underwent months of aggressive treatment followed by a grueling recovery. But things are looking up for the increasingly buzzed-about art-rock band. Traver is now cancer free. And this week the group announced the release date for its new record, the aptly titled Survival Sounds, which will hit our ears on August 26 via Communion Records. 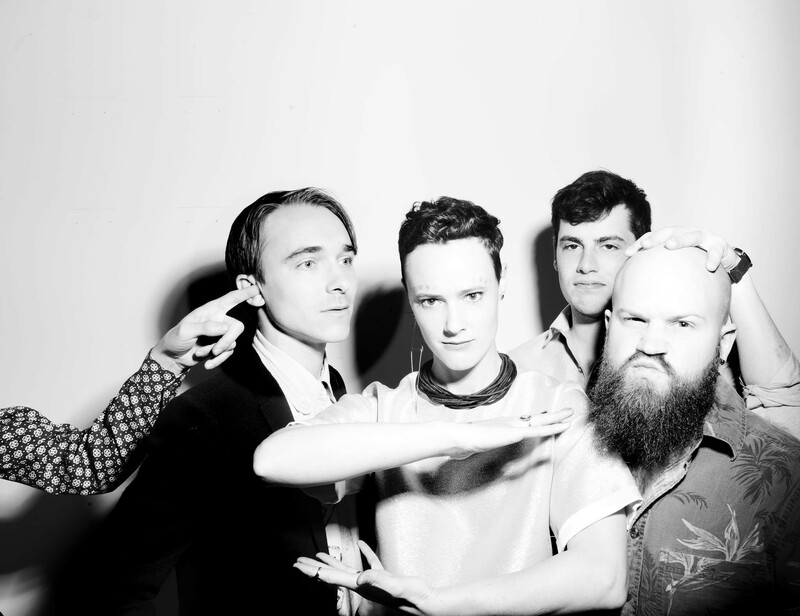 In the meantime, the band has released a sampler of Rubblebucket songs called Essentials. The 14-track comp — which is technically free, though there's a suggested $6 donation — includes Rubblebucket's entire 2011 album, Omega La La, two cuts from their 2013 EP, Save Charlie, and an advance single from their forthcoming record called "Sounds of Erasing." Those expecting moody introspection following Traver's battle with cancer will be in for a surprise. Like the music on Save Charlie, "Sound of Erasing" suggests a lighter, more playful frame of mind than did the dense, meticulously orchestrated music of the band's early career. That's not to say Rubblebucket have lost any of the free-thinking ingenuity that is their hallmark. Rather, they've focused on making what looks to be their most accessible record to date — and, as the song title implies, erasing the memory of a bad year the best way they know how. "Sound of Erasing" is decidedly chipper, a grinning mix of cruising beats, airy vocals and blooming synth, punctuated with an exultant, reggae-tinged breakdown at the hook. It signals the arrival of one of the great summer jams of 2014. Check it out.